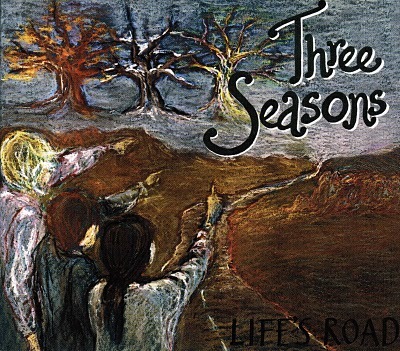 Three Seasons - "Life’s Road"
This is the new band from Sartez, former singer in Siena Root and Mouth of Clay. I love both of these bands so I was very excited to hear this record. How Transubstans decided to call this Stoner-Doom metal has completely lost me, as this is totally classic 70s rock with bands like Govt Mule, FREE, Siena Root, Led Zeppelin much more the roots of this sound, with strong guitar, organ and vocals. The record starts off with Too Many Choices, a song that closely resembles old Siena Root. Cold to the Bone is a more bluesy foot stomping track with some nice organ. Each to their Own is a fantastic 11 min song with some great guitar and organ interaction (a blues jam!). Feel Alive is another track with a great riff and groove, killer vocals and some excellent guitar. An Endless Delusion is another really excellent track with harmonica, cool organ and a great guitar riff. Since Our First Day starts slowly with some nice bluesy guitar and the bass slowly comes in as does the vocals as the track builds up. Life’s Road is another amazing track with such great dynamics. Fans of Siena Root, especially the album, Far From the Sun, will want to explore this release. I hope this one will come out on vinyl.